(NaturalNews) In the government's opinion, salt is still considered to be a harmful substance that people need to avoid in order to protect against hypertension and cardiovascular disease. 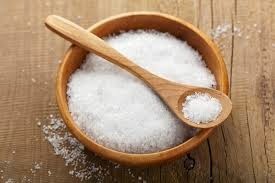 However, the science on this widely debated subject is questionably incongruent, with a bulk of credible research actually pointing towards salt as a protector of heart health rather than something that destroys it. The notion that salt is bad for us was initially just a hypothesis, but it somehow became an undeniable fact around 1972 when certain federal agencies decided to aggressively vilify salt based on flimsy "science" suggesting its dangers. These agencies even went so far as to launch "educational" programs decrying salt as harmful, a decades-long propaganda campaign that ultimately succeeded in swaying public opinion. Some 50 years later, this hypothesis-turned-fact is now rightfully falling apart at the seams. Even The New York Times (NYT), which often embraces establishment agendas, published an article in 2011 exposing the "salt is bad" myth as junk science in need of major reform. The piece explains that a cohort of published research supports the notion that salt is actually beneficial to one's health. Contrary to popular belief, science has never definitively shown that salt in any way causes hypertension. A few poorly conducted studies have made weak correlations between salt consumption and heart issues, but just as the "skeptics" are always loudly barking, correlation doesn't equal causation. Somehow this flimsy correlative hypothesis became the impetus behind the government's scare campaigns against salt, the residual effects of which are still being seen today. Many ill-informed doctors still warn their patients not to consume too much salt, ignoring all the modern science that actually suggests salt is both safe and beneficial. "While, back then, the evidence merely failed to demonstrate that salt was harmful, the evidence from studies published over the past two years actually suggests that restricting how much salt we eat can increase our likelihood of dying prematurely," writes Gary Taubes for the NYT. "Put simply, the possibility has been raised that if we were to eat as little salt as the USDA and the CDC recommend, we'd be harming rather than helping ourselves." A 2011 study published in the Journal of the American Medical Association (JAMA) extrapolated data from various observational studies and short-term intervention trials revealing that salt intake appears to have no effect on hypertension or cardiovascular disease risk. 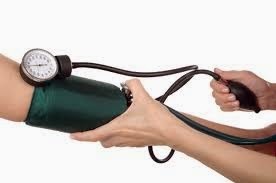 Aside from inducing some changes in systolic blood pressure, which is to be expected, higher salt intake was found to be of little concern in terms of health. Another study published the same year in the International Journal of Medicine (IJM) came to similar conclusions, noting that the low-salt diets recommended by the federal government can actually be harmful. Referencing another study published in The Lancet, which found that low-salt diets increase mortality risk, the paper declares that sodium restrictions are dangerous. "Sodium restriction generates other, sometimes undesirable effects, including increased insulin resistance, activation of the renin-angiotensin system, and increased sympathetic nerve activity," explains the study. "Whether dietary sodium reduction should be recommended for the general population remains questionable because of marginal benefit and the suggestion of possible deleterious effects on cardiovascular outcomes independent of blood pressure."